Readers who enjoy authors such as Nicholas Sparks, Jodi Picoult, and Pat Conroy will be happy to discover Broken Laces by Rodney Walther – Save 75% now! Reached the Paid Top-100 of all Kindle ebooks during 2013! Everyone deserves a second chance.Jack “The Cannon” Kennedy thinks he’s living the American Dream. A fancy house in the Houston suburbs. A promising career. And a loving wife who tolerates his long hours and selfish ways. In one horrific instant, he loses his wife. Then his job. Then his hope. And that just leaves Kellen, the young son Jack hardly knows or understands. Jack realizes he must reconnect with Kellen or they’ll never get past their shared grief. But Jack’s biggest obstacle is staring back from the mirror. Desperate to reach Kellen, he turns to baseball, the game he once loved. With Jack, a win-at-all-costs former star pitcher, coaching his son’s Little League team, what could possibly go wrong? 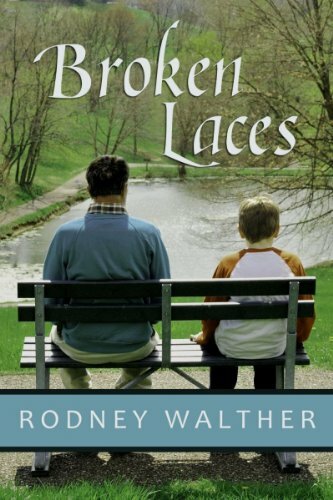 The post Readers who enjoy authors such as Nicholas Sparks, Jodi Picoult, and Pat Conroy will be happy to discover Broken Laces by Rodney Walther – Save 75% now! appeared first on Kindle Fire on Kindle Nation Daily.